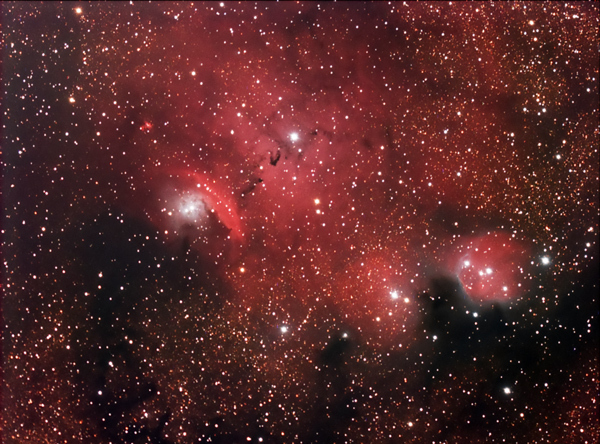 This is a beautiful collection of nebulosity in Sagittarius. It is located just one degree east of M8, The Lagoon Nebula and is probably part of the same large nebulous complex and star forming region. NGC 6559 is the brightest patch of emission nebulosity in the image. It contains patches of red emission nebulae as well as blue reflection nebulae and dark opaque nebulae.